Formula Corp offers quality all natural personal care products. Why should your retail chain offer all natural personal care products? All natural personal care products are a growing market share for customers that are conscious of the sources used to produce their personal care products. 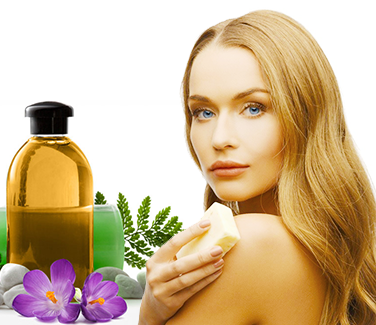 All natural personal care products are available in a wide range of retail chains and suppliers. They are often positioned as cost alternatives to regional, national or international brands. And they provide a way for companies to make extra profit without a lot of work. Formula Corp offers superior all natural personal care products and manufacturing for both private label retailers and suppliers. Our all natural personal care products cover everything from cosmetics to skincare and more. The key is in the natural research and manufacturing of the products with a detailed eye on product quality and the intended user. Whereas our competitors use harmful alcohol based products, we focus on sustainable and environmentally friendly products, making Formula Corp not only superior in quality and utility but also business efficient. With over twenty years in the industry Formula Corp offers precise control over the private label products leaving your business to focus on other things. Formula Corp takes the guessing work out of product development. All natural personal care products offer not only your business a superior market share but also reliable products that are manufactured with the utmost care to turn your customers attention to your private label. Our all natural personal care products include organic and mineral products that are essentially easier on the skin and never feel heavy. While other products contain heavy chemicals and synthetic dyes and preservatives that can easily cause allergic reaction we manufacture our natural beauty products with the utmost care to give the user a naturally beautiful feeling. If the retailer or supplier is looking for all natural private label products the industry secret is Formula Corp. The line of all natural personal care products give retailers and suppliers a natural edge over other private label manufacturers. Formula Corp offers in house manufacturing and production with the state of the art manufacturing and storage facilities. Our experienced research and development team works diligently monitoring the latest sustainable raw material developments. We review the leading trade journals, meet with vendors, and solicit specific data from manufacturers in our attempt to use the most cost effective and sustainable ingredients in our formulations. We work with our valued clients to meet their standards for performance, sustainability, and safety. Our superior and high quality private label manufacturing gives us the competitive advantage in not only reliable products but also our facilities are perfectly equipped for the creation of any number of new or revised product lines. We facilitate all aspects involved in the creation and manufacturing process including the design and implementation of private/custom labels for your brand. As a leader in all natural personal care product manufacturing and private label production we partner with our clients to produce one of a kind products from start to finish. Our professional and proactive personnel will be with you every step of the way with our excellent customer service. We will work with you to make the production of your all natural personal care products meet your schedule. Our purchasing team works together with a number of local manufacturers that has developed a number of environmentally preferred packaging options including numerous 50% PCR content HDPE bottle choices and 30% recycled fiber content corrugated boxes. We are able to provide our clients with comparable national brand equivalent packaging options to match the valued natural personal care products that we produce. 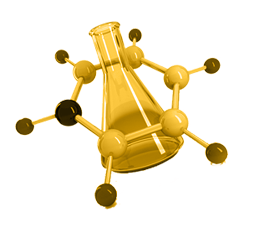 We review our products with superior testing on incoming bulk raw materials to confirm they meet the specifications we have established. Our software system (SAGE PFW) maintains our formulations and packaging specification and also tracks product production throughout the entire batch cycle (formula ingredients, volume, blending instructions). 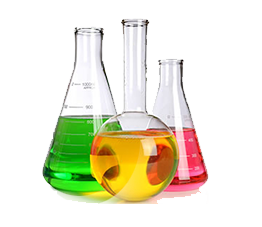 Quality Control testing and verification is performed throughout the batch cycle (blending, packaging, shipping). Through our scrutinizing testing and production methods we have developed a line of retail ready products that create a competitive supply chain for those that wish to add all natural beauty products to their current beauty product mix. We are the manufacturing arm of top tier all natural personal care companies across the globe. We have been able to do this through strategic partnerships. Rather than having hundreds of new customers, we focus our effort in servicing the needs of a few key partners, thus adding value to the customers product through personal attention. Ready to create your all natural personal care products? Ready to create your all natural personal care products? Partner with Formula Corp by filling out the form on this page.